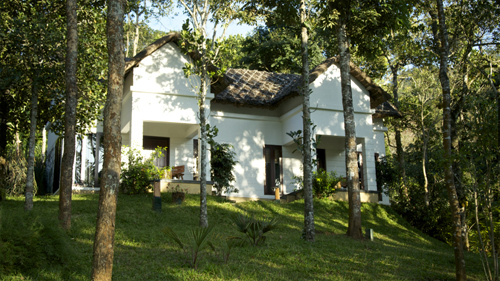 Niramaya Retreat Cardomom Club, Thekkady is a sought after villa amidst exotic greenery and splendid mountains. 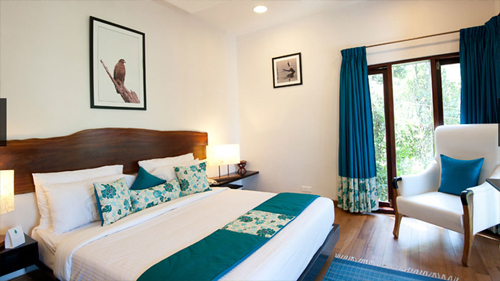 Guests can enjoy proximity to various tourists' attractions like Periyar Wildlife Sanctuary and Periyar Boat Landing to look out for majestic gardens with colourful flowers and birds chirping around in the morning from the wide floor to ceiling windows. 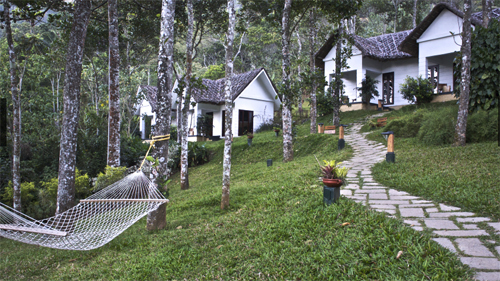 The property offers all the necessary facilities to make your vacations pleasing and memorable one. Rejuvenate at the on-site spa centre while availing traditional Asian therapies done by mastered therapists to give a relaxing treatment for mind, body and soul. 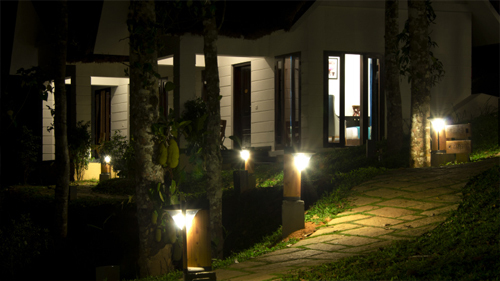 Guests can also make use of the bonfire facility available here to set a special evening for your dear ones. Relish an array of mouth watering delicacies at the on-site multi cuisine restaurant while enjoying tranquil ambience. 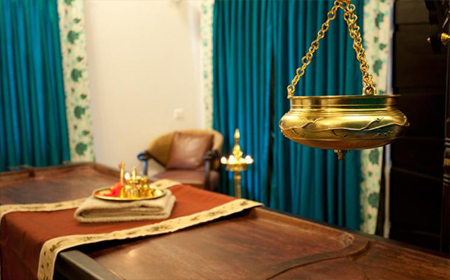 For comfortable accommodation guests can stay in the simple beautiful rooms equipped with all modern day amenities. 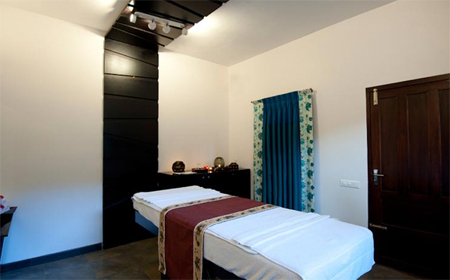 All the guest rooms in the premises are spacious and feature wooden flooring along with private sitting area. 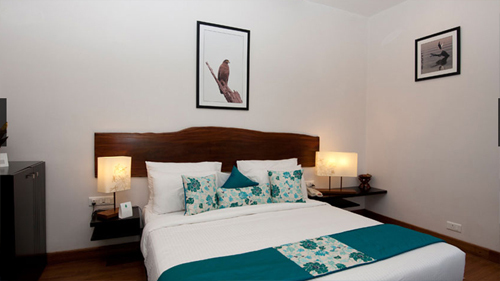 The hotel offers accommodation in the 6 cottage style guestrooms, which are spacious and tidy. 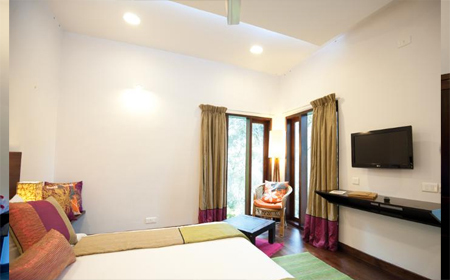 These rooms have wide open air windows for proper ventilation and also feature wooden floor furnishing enhancing to its beauty. Amenities equipped in the room include flat screen television, direct dial telephone, mini bar and tea/coffee maker. 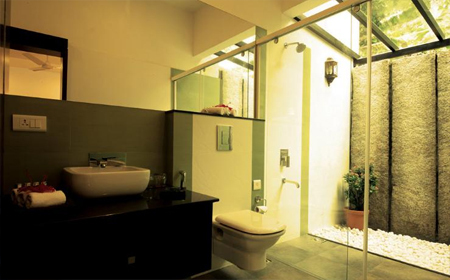 Attached bathroom in each room come with hot/cold water supply and essential toiletries.